I think we should be asking these questions of ourselves: if Easter Islanders could chop down the last tree, if whalers could fish the last whale, then we could do the same thing with carbon dioxide emissions – how can we stop this? Somewhere, someone will push the accelerator on their car, or pull a switch to load a coal fired power station, and that will release the amount of carbon into the atmosphere that will push the climate over a tipping point. Nothing in the way we treat risk has changed since Easter Island. What has changed is the equipment is bigger and there are more of us. And the stakes are higher. This month’s SIGNAL OF CHANGE executive newsletter gathers the evidence for this raw short term risk culture. The risk of having a culture not dealing with longer -term risks. If we feel scared then our whole body gets ready to fight or flee – sometimes we freeze. 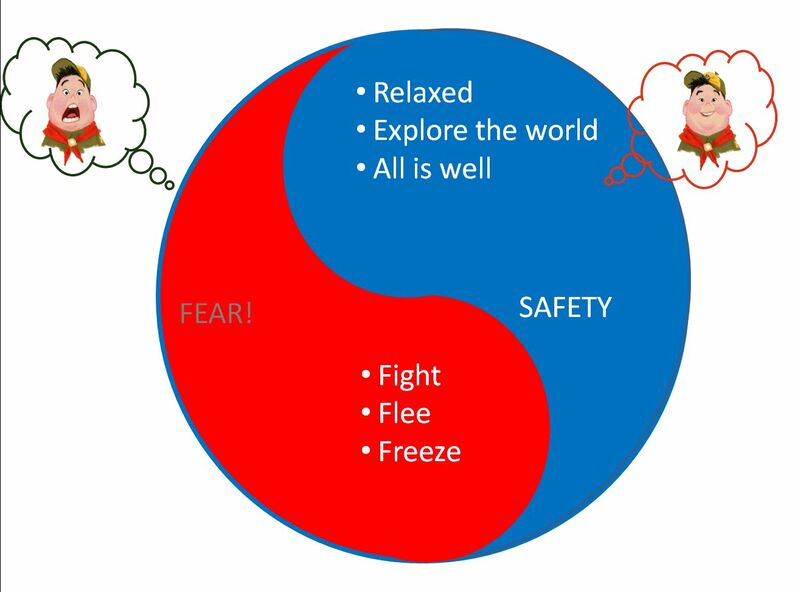 We are completely different when we are relaxed and out of danger. Drawing on the work of Riane Eisler, among other things her book the Blade and Chalice, we see that depending on from which stance we come – from danger or peace – we develop different cultures. Interestingly, a danger culture is short – sighted. Only the short-term risks are prioritized. This is natural, as the survival instinct is to get out of danger first, then worry about the long-term. 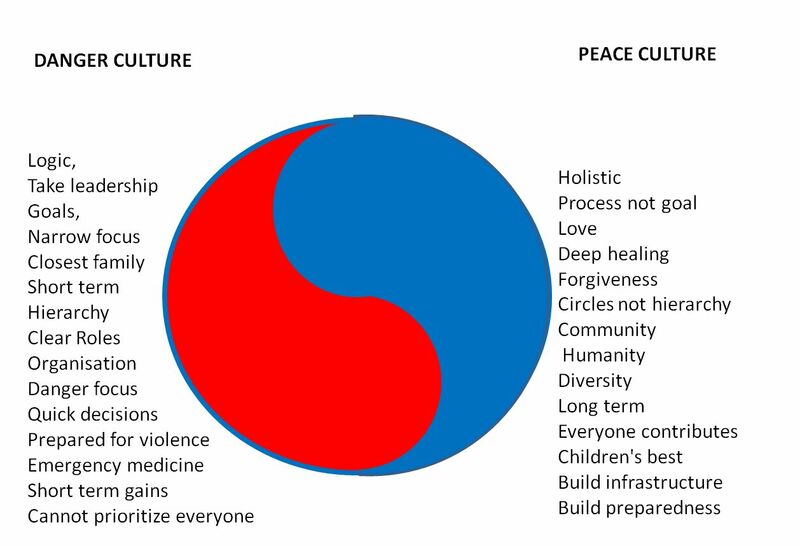 The problem is, looking at the diagram again, you see that the culture we live in is closer to a danger culture than to a peace culture. It might be understandable, give that we have been through two world wars and a wave of terror. Or is it the other way around – that the culture of danger has created a harsher culture? It is tempting to conclude that humanity has trapped itself in a self-replicating danger culture that is putting people more and more at risk and it has locked itself into an increasing spiral of violence and blindness to long-terms risks. But why would be pursue efficiency? What could be driving that? Well, in a danger culture its is short therm gains that in focus. In Western culture, at least, danger and money are connected. If you have money you have no danger, without money the risks are a lot higher. The way to get money is make it, and you do that through enterprise. And the higher the risks, the more money you make. I would argue that the very nature of money, needing as it does interest, means that we are forced to pursue economic growth and therefore take even more risks. This is why the gap between rich and poor is expanding: needing the elite classes to take higher and higher risks, the rewards are getting higher too. So they will be tempted to push the envelope. The way ahead is difficult but not impossible: we need to develop a new culture: one that manages risk and embraces peace. There are many places to start. One is with ourselves, to develop an understand of which glasses we are looking at the world through. This cuts to the very way we frame the mission for our organisation. We also need to understand that red trumps blue. If you want to get people to jump away from a peace culture, just mention danger. We are so attuned to it that we will immediately go into danger mode. We are surrounded by it: the news, our films, our stories, the money system. We need to create peace spaces where we can get away from the danger culture and realise why we want to be in peace. Because that is what we really need. We are built that way. It’s enjoyable. But we need to bring the cultural change ourselves. We need to show leadership and we need to be strong. If we do not, the downward spiral will continue.